In talks with several local retailers. Apple plans to go ‘local’ by setting up small, neighbourhood shops in big cities and tier-II markets, and also ‘engage’ closely with its target audience. And, these small format shops will be set up by Apple distributors Redington and Ingram Micro along with existing trade partners. 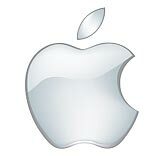 Apple is also approaching local traders and retailers regarding the setting up of neighbourhood stores in several cities.